Some were still packing their duffle bags at home by the time the 5 star TTR contest Wängl Tängl 08 had already started. We don’t know who was more lucky: the ones who had the chance to attend the overcrowded side-events in Mayrhofen or those still having enough air to breath at home. Not a single sheet of paper would have fit between the crowd the night the Hotsteppa Soundsytem took care of Jamaican temperatures inside „Scotty’s“ with their riddim selection. More events like the poker tournament, a poetry slam, and tons of musical performances by Little Brother, Texta, Big Shug, Waxolutionists, Bass or Die, and many more were responsible of totally bleary-eyed riders, organizers, promoters and fans during the whole week. 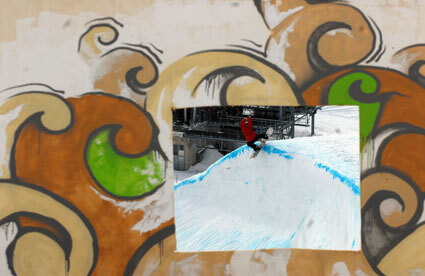 To most contest-visitors it was unexplainable that all the riders were still able to pull massive tricks. With his perfect styles Anders Gidlund was this years overall champ and took home the price money. 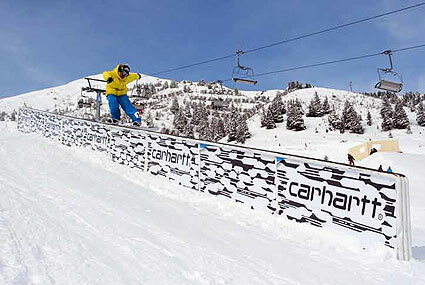 He also won the best rail trick award with a never-ending slide down the 18 m Carhartt rail. The most spectacular trick on this obstacle made sure he won a Carhartt BMX cruiser, too. With the already 6th Wängl Tängl Ästhetiker-Jam the skate contest has become a fully integrated part of the complete action. 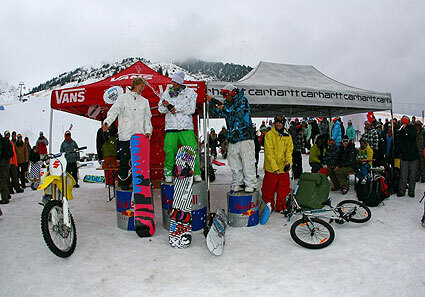 Carhartt skate team’s latest additions Ferit Batir and David Martelleur were successful competitors amongst the tag team contestants. Winners were Roman Astleitner and Andy Scott. As written above, this is only a short excerpt of what has happened during the whole week. Check out the Ästhetiker’s website for more information and video footage.